Kimmiebn had always struggled with her weight, trying diet after diet without any luck. Finally, she decided that it was time to shed those unwanted pounds the healthiest way possible. 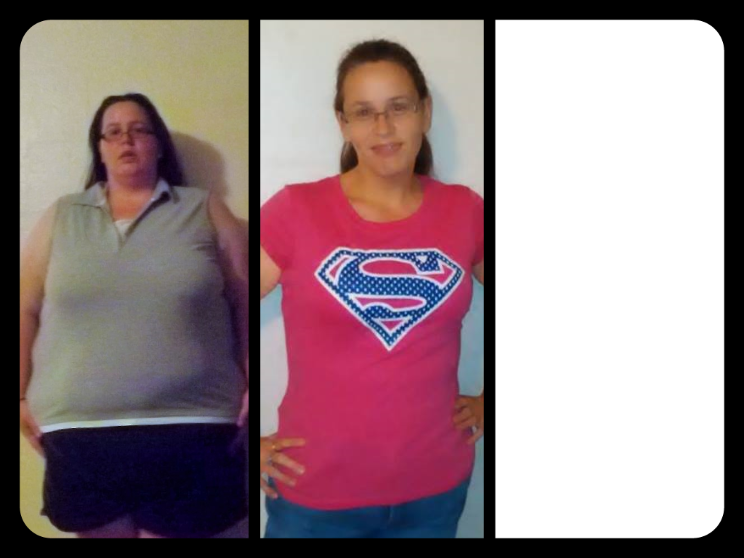 So she began taking little steps to improve her lifestyle and with the help of Calorie Count she dropped 61 pounds the healthy way. I had tried the Atkins diet, which lasted about 3 days before I caved and inhaled several peanut butter sandwiches in one sitting. I had tried the opposite and gone vegan, which really wasn’t as hard as I thought it would be. The part that led me to fail on that attempt was the social difficulties – I mean, how do you take a vegan to a barbecue? I always would do “too much too soon” and go all out and commit to eating essentially nothing while working out 2 hours a day, 7 days a week. By setting impossible standards for myself, I was sabotaging my success every stinkin’ time. Joining Calorie Count was the first thing I did when I made the decision to really buckle down. For the first month or so, all I did was count my food calories. I wanted my body to get used to functioning on less before I started asking it to do any more work. Then I added in walking (about a half hour 3-4 days a week), while still controlling my food intake. Then I added yoga, Pilates, and light strength training (emphasis on “light”- I HATE strength training, everything is so heavy and repetitive!). Eventually I started running intervals. Now, I run at least 20 miles a week. Because I added each change to my lifestyle so gradually, it wasn’t hard – in fact, I’m a little embarrassed by how easy this was. If I’d have known how “not that bad” this method was, I’d have spent the bulk of my 20’s at a much smaller pant size. The number one most important change I made was how much food I ate – not so much what kinds (I still ate my beloved burritos), but I learned to budget those calories into my day so I didn’t have to give up anything… not even beer. When I had my “Aha!” moment, I did what any good scientist would do – Google research. This is how I found Calorie Count. 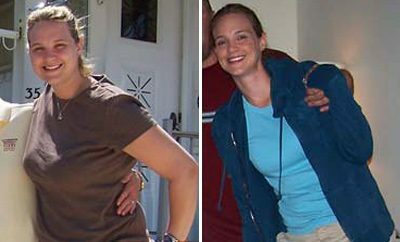 Honest to Bob, this is the most sane weight loss method I have ever heard of! I told everyone about it! (Do you guys need a spokesperson, because I’m your girl!) Calorie Count was more than instrumental to my weight loss – Calorie Count was my guide, coach, motivation, and my support. I learned about the value of food and fitness. I’m pretty sure the ability to quantify food is one of the secrets of life because that knowledge seriously unlocked so much freedom and happiness. I mean – it’s just math… not some mystical process that nobody really understands. It really is liberating. The first 2 weeks of cutting calories seriously sucked big time. But plan your snacks and stay with it. I promise, if you can make it through the first 2 weeks, the rest is a breeze. Drinking enough water was a hard lesson for me. I was never dangerously dehydrated or anything, but the sheer volumes of water my body craved seemed impossible. Also, in the very beginning of my journey, measuring my food was an eye-opener… Do you know how little 2 tbsp of ranch dressing REALLY is? 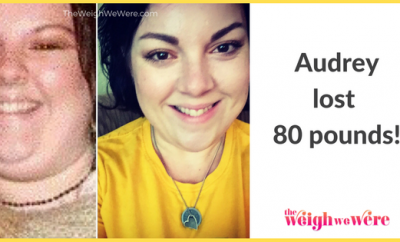 I lost about a pound the very first day (which I understand now was just a normal fluctuation in water weight), but still – it was enough to make me say, “omg, this is so totally working!” and keep going. Every time I stepped on the scale and there was even a fraction of a pound gone, I celebrated because 1 pound is almost 2.5 pounds, and 2.5 pounds is halfway to 5 pounds, and 5 pounds is half of 10 pounds, and 10 pounds is something to jump up and down about… see what I did there? Every time I saw progress and kept going, I knew I was a success. 1) I kept one pair of my size 17 jeans. Whenever I feel like slacking, I whip out those jeans and marvel at how gigantic they look on my current size 4 body. 2) I remind myself how much I hate feeling super full. That is usually enough to make me fill my plate modestly. 3) If I don’t want to run, I gear up and tell myself I’ll only run for 10 minutes – which is totally a Jedi mind trick because once I get going, I run until I’m done. 4) I have a meeting with myself and discuss the difference between being hungry and being bored. I know myself so much better now. I know more about my strengths and my weaknesses. I know how to forgive and how to take care of myself. I am more at peace with who I am. I no longer dread getting my picture taken. I no longer feel that panic when I see a Facebook notification that someone tagged a picture of me from the night before (be honest, you know what I’m talking about!) because I know no matter how strange my facial expression might be, I don’t look fat. Physically I never realized I felt so crummy until I didn’t anymore. I feel amazing now. In a nutshell, I’m content, confident, and know that I’m worth a lot more than I ever gave myself credit for before. 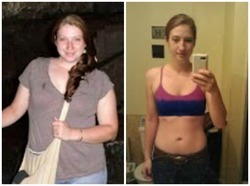 I started my weight loss extravaganza on Jan. 26, 2012. I reached my current weight (which is 5 little lbs from my ultimate goal) the end of Oct. 2012. 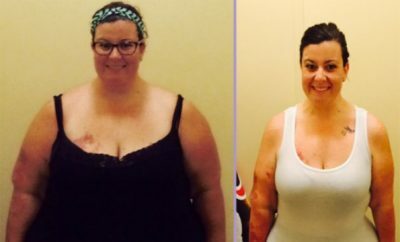 I lost 60 lbs in 9 months!!! (This is me, tooting my own horn – TOOOOOT!) I had a little hiccup over the holidays and gained about 4 lbs, but reverted to my tools and knowledge to get back to where I need to be. I can proudly say that I have maintained my weight for 5 months and will never go back to the eating habits I had before! Every person is different – some people need to eat more early in the day, some eat throughout the day, some eat mainly at night. Know thyself – and plan your meals accordingly AHEAD of time! Keep it real – measure your food! Invest in good cups, spoons, and a scale! Do not deprive yourself, you will FAIL! If you want a vat of macaroni and cheese, then have it – but budget for it (it may be the only thing you eat besides lettuce all day). Drink water! – If you aren’t hydrated, your body doesn’t eliminate wastes efficiently (if you know what I’m sayin’) and feeling bloated isn’t slimming (or comfortable). You really don’t have to kill yourself with the workouts. A dab’ll do ya as long as you keep your food intake in check and stick with it!